Channel 5 has unveiled a new look for its news bulletins and weather forecasts, as 5 News returns to its original home at ITN's HQ on Gray's Inn Road. Coinciding with the changes, Channel 5 has signed a new four-year deal with the Met Office. The new contract means that viewers will also see changes to the weather map, based on the Met Office's Visual Cortex system, a system that already powers the weather maps on ITV, STV and Forces TV. Met Office presenter Clare Nasir, who has previously presented on Channel 5, will return as the main face of 5 Weather. 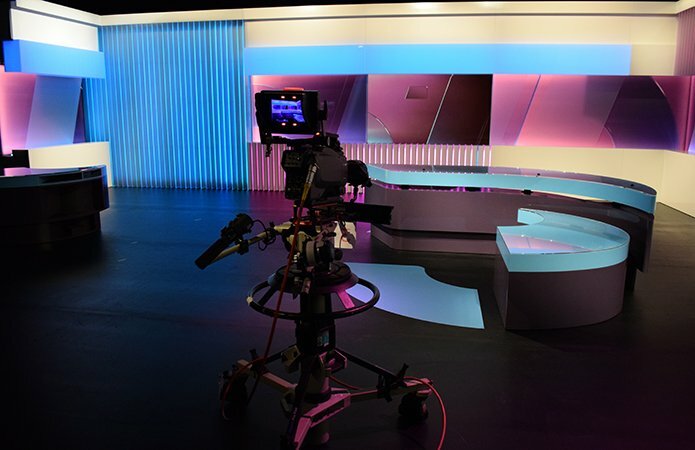 "Today's exciting launch and rebrand underlines Channel 5's commitment to accessible news programming following the signing of a four-year contract with ITN to produce 5 News in June this year. The desire for news from our audience has never been so great, so the refresh is timely during a crucially important period for news, ranging from the US election to global terror. I'm delighted that we're benefiting from the world class expertise of the Met Office and trained meteorologist Clare Nasir who will bring her wealth of experience and knowledge to the channel." 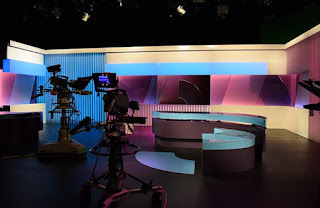 In its 19 1/2 year history, 5 News has had the most varied set of presentation and content styles of all the main channels, famously starting in 1997 with a colourful, casual style of presentation, featuring presenters standing up. 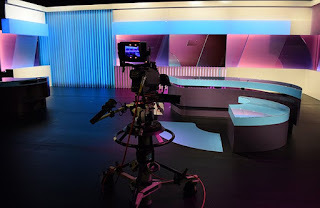 Subsequent changes in channel style, takeovers in control and a spell when 5 News was produced by Sky have resulted in every aspect of the bulletins changing. Most recently, 5 News has been broadcast from the Northern & Shell building on Lower Thames Street, the home of former Channel 5 owner Richard Desmond's publishing empire, despite the news being provided by ITN. Last year's takeover of Channel 5 by US media giant Viacom resulted in the need to move 5 News to a new location. This move sees 5 News returning to the building from where its news bulletins were broadcast between its launch in 1997 and the end of 2004, after which Sky News took over the contract to provide Channel 5's news output. ITN also produces ITV and Channel 4 news bulletins from the same site. Earlier this year, former BBC Breakfast presenter Sian Williams became the latest high profile presenter to move to 5 News, presenting the 5pm edition of the programme.